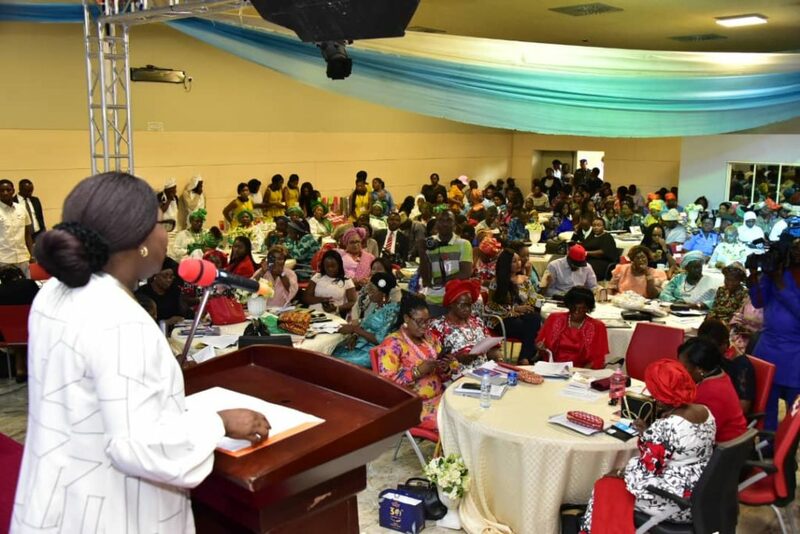 The wife of Ondo State Governor, Arabinrin Betty Anyanwu-Akeredolu, has stated that the exclusion of women in policy making within Nigeria amounts to total waste of human resources. 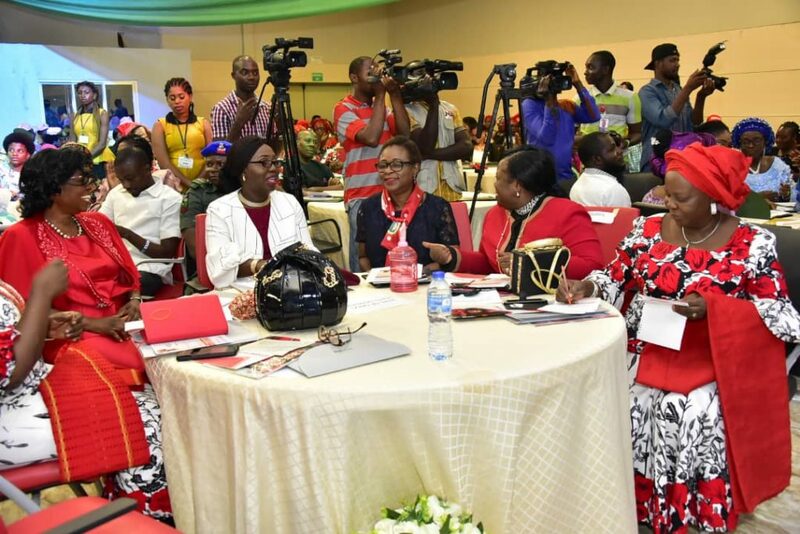 She made this known during a stakeholders’ meeting on the 63rd Session of UN Commission on the Status of Women(UNCSW 63) which held on Thursday at the Dome conference centre, Akure. 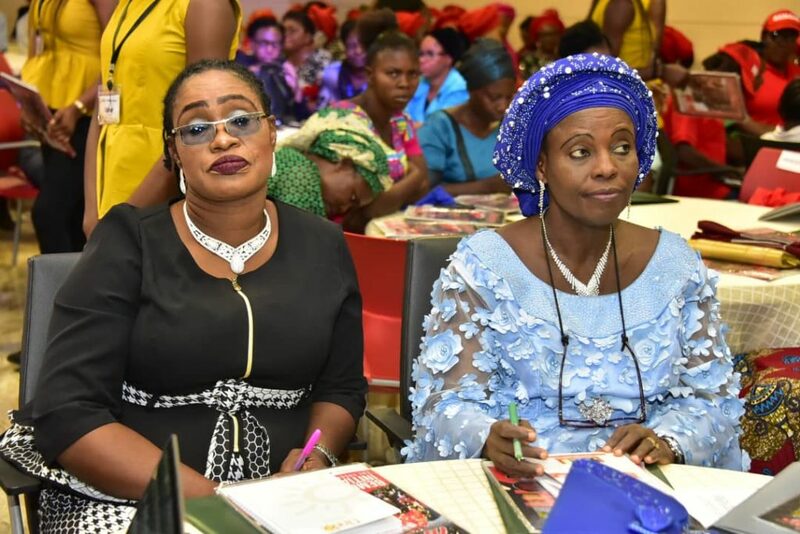 Drawing from the UNCSW 63, the largest UN’s gathering on gender equality, which took place at the UN headquarters in New York between March 11 to 22 2019 with the theme:”Social Protection Systems, Access to Public Services and Sustainable Infrastructure for Gender Equality and the Empowerment of Women and Girls”, Mrs Akeredolu noted that any society aiming for progress, recognition and relevance among the comity of nations must carry its women folks along in all aspects of life. “Exclusion of women in policy-making is a waste of human resources because this world is shared 50/50. The First Lady charged Nigerians to discard the common belief that men possessed greater competence than women. “We should stop believing that men are the only ones with sense and knowledge. BEMORE has taught us that our women can be more if given the opportunity ” she said. While reiterating the need for women empowerment, Arabinrin observed that women should use their voting strength to put more women in the legislative houses and positions of authority. According to her, there should be concerted efforts to encourage women and get them engaged in productive ventures that are women-friendly and skills acquisition relevant to their immediate environment so they can contribute meaningfully to their families and communities. “FOWOSO is paving way in Ondo State and the impact is evidenced based with tremendous successful outcomes. 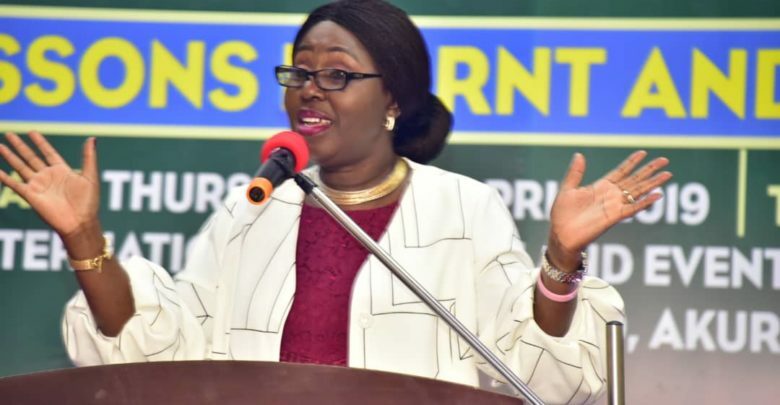 “We have empowered over 2000 women and youth and free medical services at all FOWOSO empowerment outreaches together with breast cancer awareness to over 20,000 people in the local government areas of the state and we appreciate the state government for being a dependable ally and for its supportive roles,” she stated. “Women, if properly equipped can also lead the world of technology. We have proved that in Ondo State with BEMORE summer Bootcamp for Naija Girls and it shows that girls can do more than what society ascribes them to be. “Presently, four of BEMORE girls are being groomed to compete for the technology innovation challenge holding at Silicone Valley, California, USA,” she recalled. The First Lady further called on concerned authorities to provide water facilities in schools so that young girls will not skip classes during their menstrual periods. 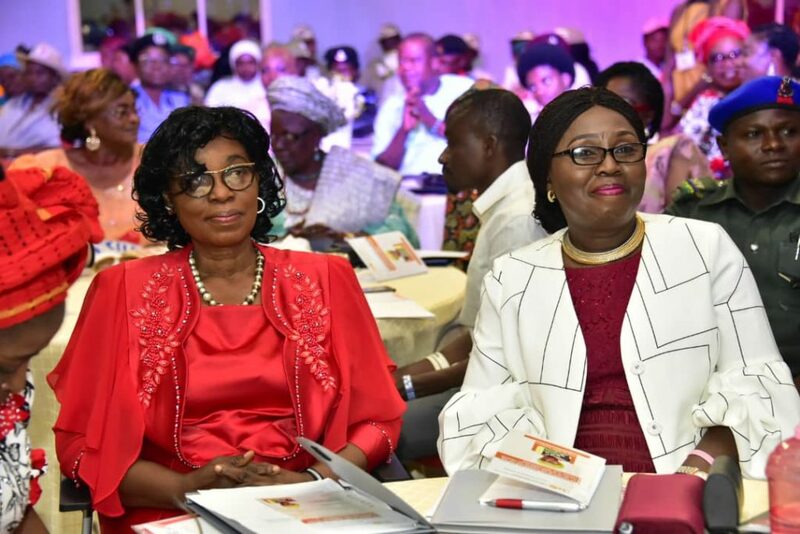 Also speaking at the event were Mrs Titi Adeyemi, the Senior Special Assistant to Ondo State Governor on women affairs, The Chairman of the occasion, Prof. Ibiyinka Ogunlade, stakeholders including Mrs Doyin Ogunbiyi, a former commissioner in Ogun State, Prof. Mojisola Atalabi of College of Medicine, University of Ibadan, Prof. Ibiyinka Ogunlade of Ekiti State University and a panel of discussants. 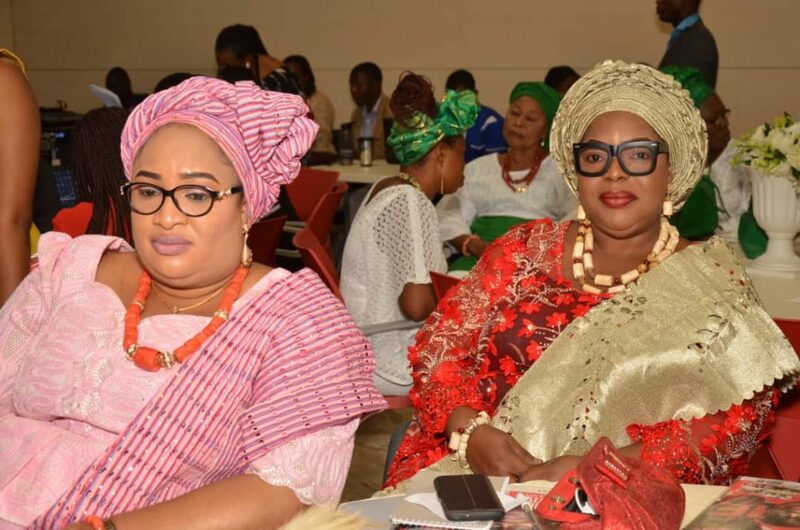 While applauding the gender-friendly policies of Arakunrin Oluwarotimi Akeredolu,SAN, the speakers encouraged the women empowerment and gender balance strides of Arabinrin Akeredolu noting that this would help to make Ondo State and Nigeria, at large, a better place. 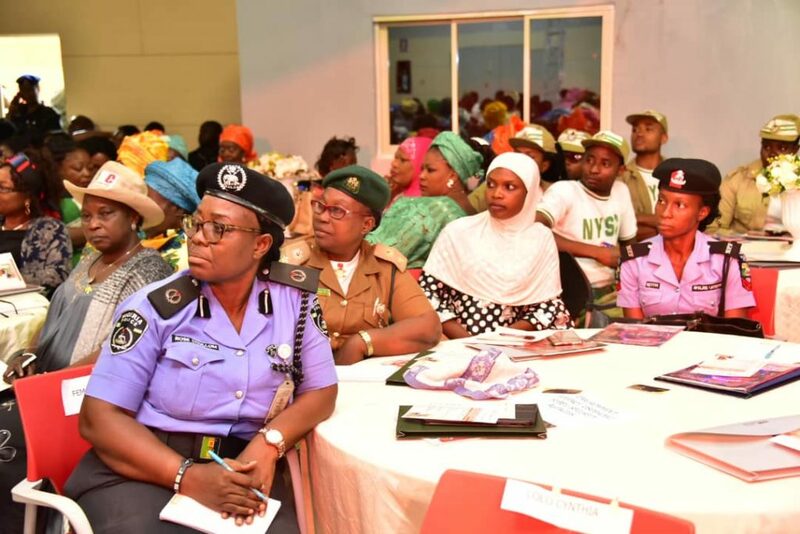 Also present at the event were representatives of different non-profits, security agencies, private and corporate organisations as well as stakeholders from different parts of Nigeria.